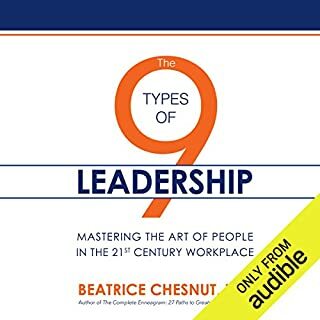 By providing extremely detailed and accurate descriptions of nine recognizable personalities, The 9 Types of Leadership is an unmatched tool for business people to use to decode the mysteries involved in understanding why people do what they do, why we have conflicts with some people but not others, and how we can become aware of our blind spots. Most importantly, it can help leaders know themselves in a deeper way so they can more effectively lead others. In this fascinating program, Helen Palmer introduces a vital system of sacred psychology capable of stunning insights into our lives and loves. This Enneagram is a model of 9 central passions used in varying forms by Buddhists, Sufis, and Christians. In this comprehensive introduction, Palmer covers topics such as the 9 personality types, history and origins, how to recognize your type, the role of attention and awareness in type, how your type can give you spiritual direction, dynamics of type interaction, how to avoid mis-typing others, and much more. Here is a priceless opportunity to overcome the veil of illusion that limits your perception to only one-ninth of reality. 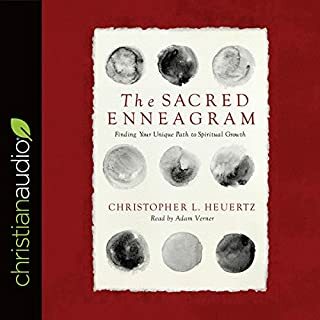 Self to Lose - Self to Find examines the invitation of Jesus to lose yourself in order to find your true self and presents the personality system known as the Enneagram within this biblical framework. It will guide you toward liberating self-awareness by detailing nine distinct personality patterns, each with particular gifts and challenges. Growing up, I’ve struggled with wearing different personality masks. I realized that unless I find my real self and discover my true personality type, there was a very good chance that I would never be able to enjoy healthy, happy, and meaningful relationships. So I looked at all the research I could find that could give me clues to my real personality. Ultimately, I stumbled upon this secret that would be responsible for helping me find my true type and finally be myself. In this helpful guide, spiritual director and Enneagram teacher Alice Fryling offers an introduction to each number of the Enneagram and the respective triads into which they're organized. More than just helping us discern our number, Fryling shows how knowing it can lead to transformation by revealing to us both our false and our true selves. Would you like to acquire a deep understanding of the motivations and dynamics of your personality type and that of others? Would you learn how to analyze and instantly read people and human behaviors? Well, this special edition has been put together with the goal to provide you with a wide variety of knowledge and skills within these two important subjects in the psychology field. Tina Madison, a well-known psychologist, trainer, researcher, and author, has selected two of her best-selling books to simply create an amazing comprehensive guide. If you’ve had a lot of questions about yourself or you feel like you don’t fit into any environment you’re in, it could be because you haven’t found your social cluster. Rather than sitting back, pointing fingers at others, or becoming self-critical of yourself, the Enneagram could be the answer you need. It will open your eyes to a whole new way of looking at the world; it is insightful and can answer many of your questions you might have in life. If that sounds like you then this book is meant for you. 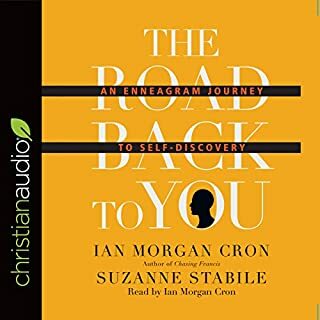 The Enneagram - a universal symbol of human purpose and possibility - is an excellent tool for doing the hardest part of consciousness work: realizing, owning, and accepting your strengths and weaknesses. 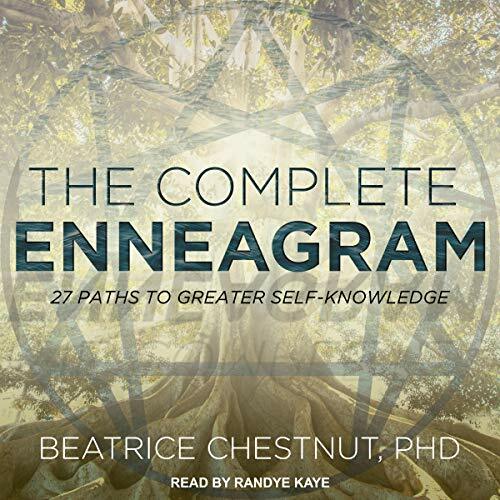 In this comprehensive guide, Beatrice Chestnut, PhD, traces the development of the personality as it relates to the nine types of the Enneagram, the three different subtype forms each type can take, and the path each of us can take toward liberation. With her guidance, listeners will learn to observe themselves, face their fears and disowned Shadow aspects, and work to manifest their highest potential. It might be a great read, but as an audible book it’s very hard to listen to. There is a narrator listed, but Siri has more inflection and personality. I returned this book within the first two chapters. I recommend that you buy a hard copy or visit the library to read this book yourself instead of attempting to listen to Rosie Robot. Well organized deep dive into the enneagram. Really liked the approach taken to explain the enneagram. The conceptualization honors the more ancient roots of the enneagram. I found the ties Chestnut makes to The Odyssey but Homer, Dante's Inferno, Jung's archetypes, and psychologist Karen Horney's theory very interesting and helpful. These correlations add credibility to the enneagram approach by demonstrating the same themes seen in ancient and modern conceptualizations of personality. This book articulates with precision, what the book entitles. Well orchastrated, with logic and smooth sentences. I love this work, and ordered a hard copy as well. I think someone forgot to De-ess the audio, it's very hard to listen to this. This narrator I also . . .not so good. 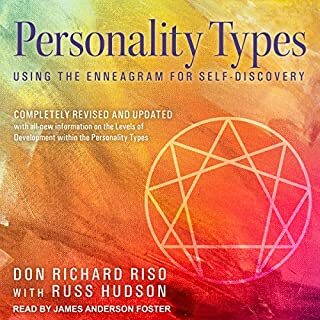 Instead, read "Personality Types: Using the Enneagram for Self-Discovery", its better written. Unfortunately, the narration of the text makes the audible version unappealing. I could hardly get past the robotic narration. The narrator may be better suited to read children's books...such as "See Jane run." The contents, however, include a wealth of knowledge and is an excellent resource for therapists. The PDF attachment may be useful yet repetitious in content. The author reveals basics found in most other Enneagram book. If this were the only Enneagram book you would buy, it would be a good reference for learning how to move out of your defense mechanisms, aka the personality. I would highly encourage the author and publisher to redo the audible version of this book using the author's voice or another narrator. 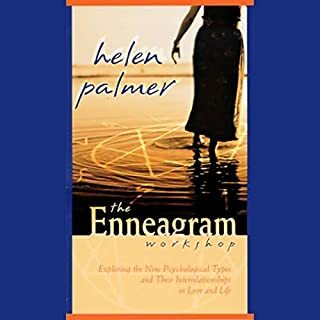 The author does take a different spin on the Enneagram Types which could be misleading, noting 27 pathways rather than the 9 pathways most pioneers use (such as Dr. Jerome Wagner, late Don Riso & Russ Hudson, Helen Palmer). The new angle considers each of the 9 types with their respective wings, thus the author arrives at 27 pathways in the title. (Hard to come up with variations on an Enneagram title now that there are a boat load of books to choose from these days.) You'll find the wings' influence on the dominant type covered in any advanced book on the Enneagram. Clear writing style, pleasant and clear narrator. The content itself is presented in a slightly long-winded way. The book could have been more concise and less repetitive. However, I learned a lot and I'm glad I listened to the whole book. Thank you! I need more on subtypes. listened twice through, and will listen again to types as needed. Good but Robotic thus far. I just got the book. 7 minutes in. Yikes! The narrator's voice is not pleasant...robotic. I doubt an actual person read this. It must be Siri's relative. Hint thus far- Increasing speed to 1.25x helps a lot! Nice introduction for the 9 typs. 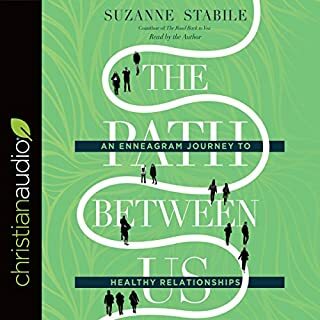 Gave me another point of view over the Enneagram.